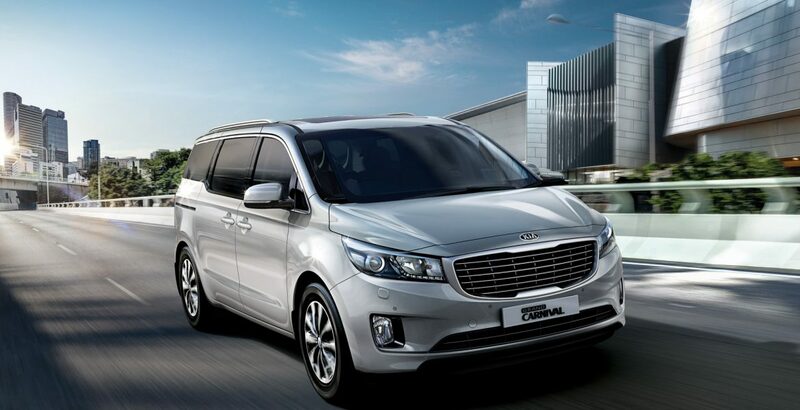 Known in North America and the UK as the Kia Sedona, the Kia Carnival or the Kia Grand Carnival is a tech-rich minivan that is packed with the power to surprise. 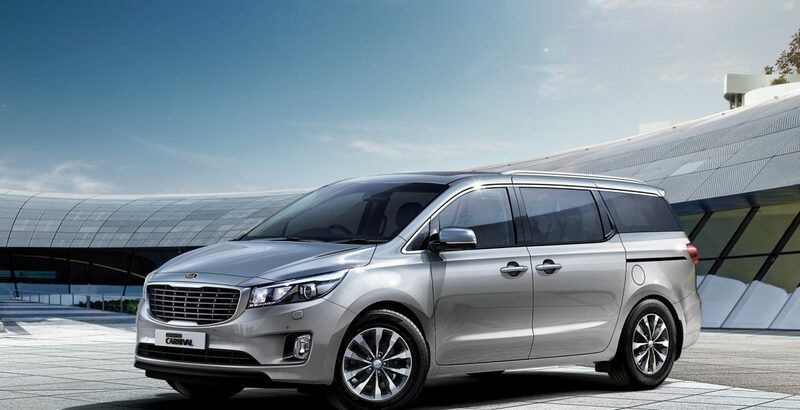 This segment leading people mover, from the house of Kia, is expected to be offered against 40 to 48 lac rupees in Pakistan. 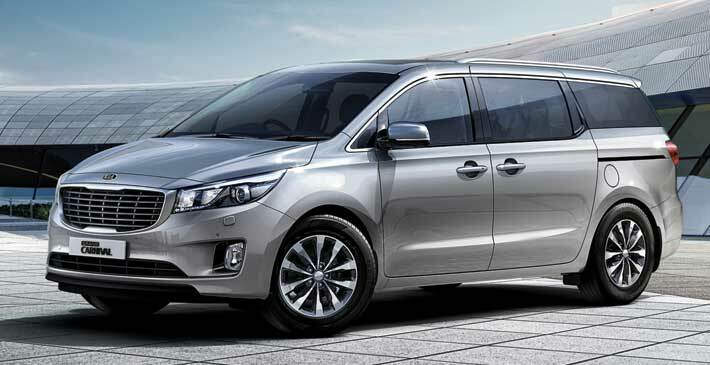 Though seemingly high, when compared against the specs standards, the Kia Grand Carnival 2018 price in Pakistan seems to be quite reasonable. However, affording a vehicle worth nearly 5 million rupees is not the cup of tea for everybody. 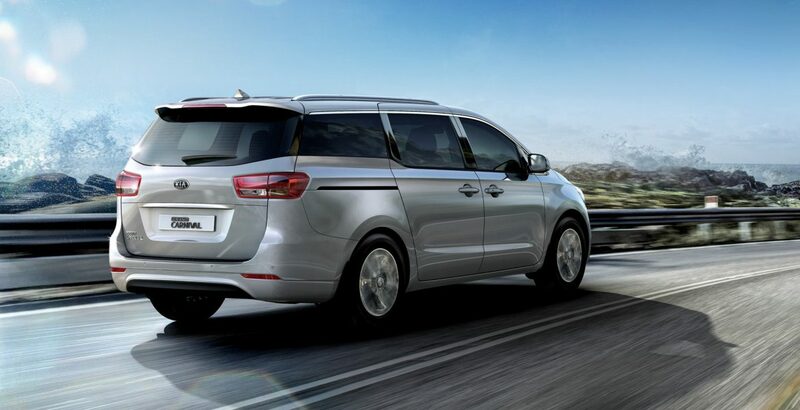 Grouped as the sports utility vehicle, the new Grand Carnival has been built to serve to the travelling needs of individuals and families from the upper middle and elite class. It features the latest Lambda II 3.3 MPI engine technology with the outstanding 3,342 cc displacement. With the power output rating of 270/6,400 ps/rpm, the SUV is capable of generating the force of over 266 horsepower (mechanical). Meanwhile, it can be accelerated from 0 to 100 kilometers per hour in less than 9 seconds! 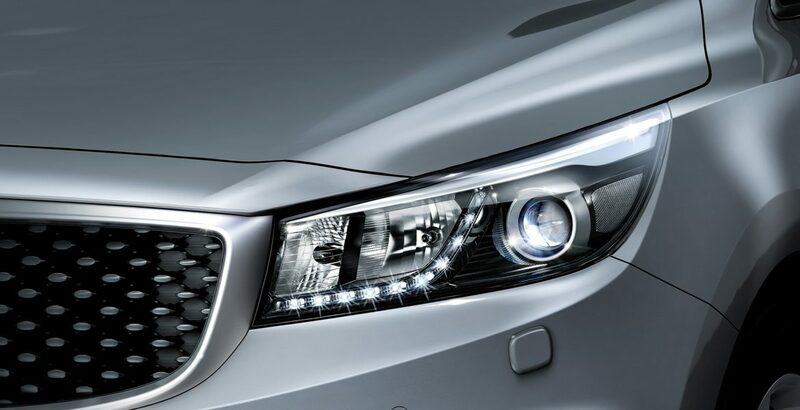 In the international market, the latest model boasts of the improved 8-speed automatic transmission technology. 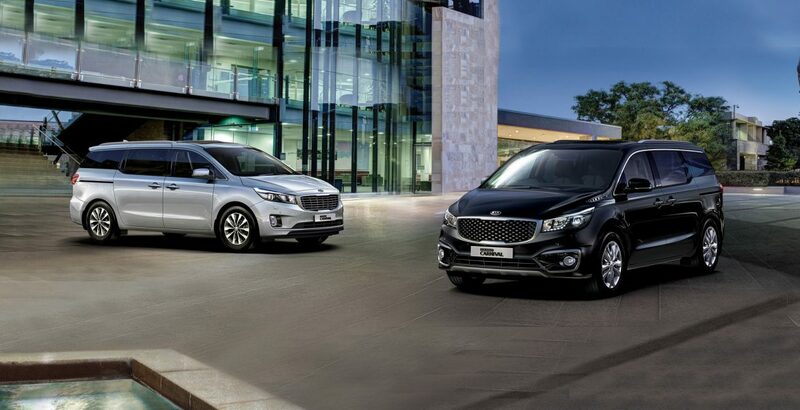 The Kia’s handling has been refined. The Kia’s marketing department has given the name “Crossover Utility Vehicle” or CUV to this people mover. The third generation of the vehicle was launched in 2015 and the now the 2018 model has been given a mid-life makeover or, more specifically, a Product Enhancement. It abounds in both the space and practicality. 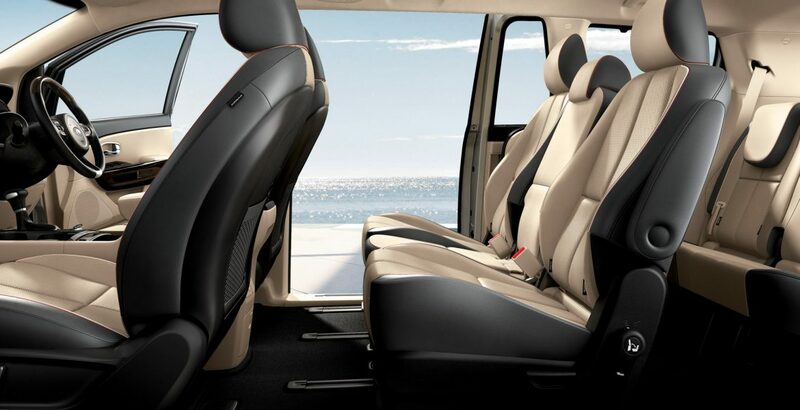 From the interior, you will find it a genuine eight-seater with lovely cabin ambience. Owing the its spacious interior with comfortable seats, the Gran Carnival has earned great popularity with the rental and hire car companies. The second row of seats has ample room for head, leg and toe for the comfortable seating of three adults. Similarly, the third row can also accommodate three adults easily. For the safety of passengers, all the three rows of seats are covered with airbags. 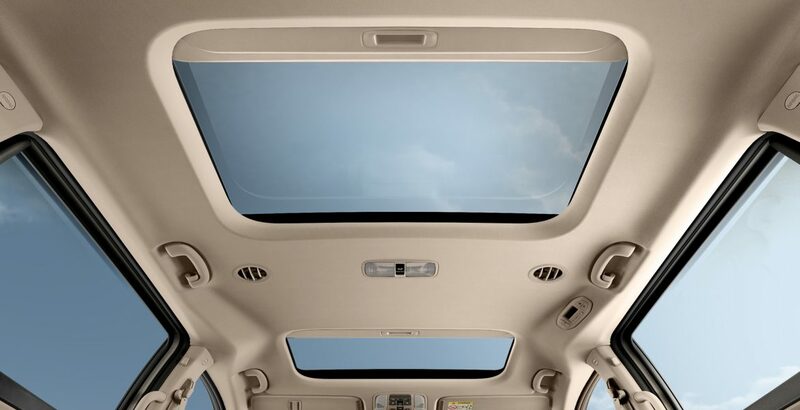 Meanwhile, there is a plenty of storage options, including 10 cupholders, a large central storage bin as well as a veritable assortment of cubbies, pockets and two gloveboxes. Thanks largely to the front-wheel drive underpinning of the Carnival, the boot space is massive. A cavernous area has been freed up behind the third row of the seats. 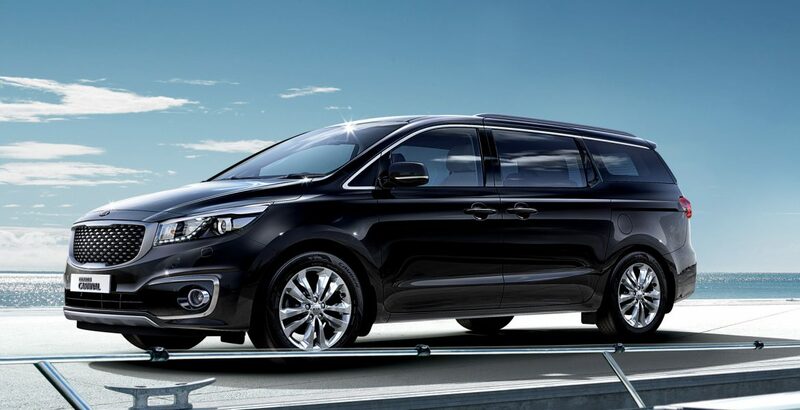 Would you believe the Kia Carnival provides a whopping 960 litres of the storage space even when all the three rows are in use? At launch, it was tested out with an array of luggage. After swallowing the whole luggage, the grand vehicle still had plenty more space available. 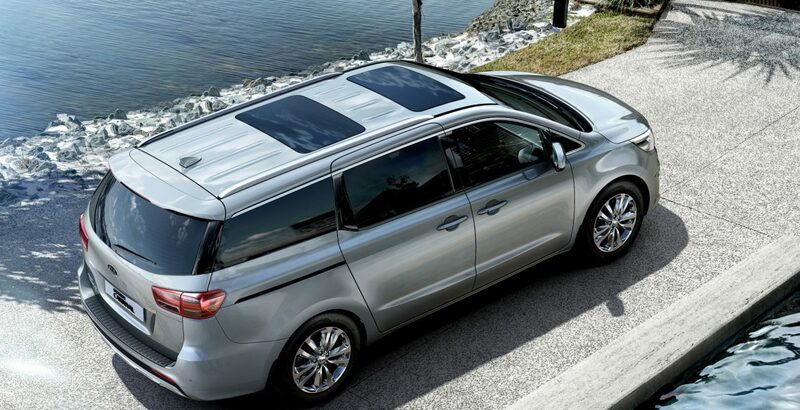 If you fold the third-row seats away, the cargo area of the Kia can be expanded to a gargantuan 2220 litres. Similarly, the second-row seats can also be folded to increase the storage space to whopping 4022 litres. 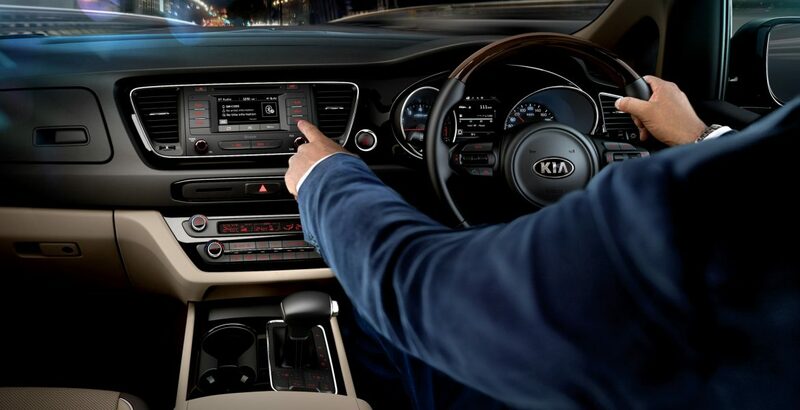 The beefed up infotainment system of the Kia Grand Carnival 2018 brings a larger 7.0 inch touchscreen in place of the dated and small 4.3 inch display installed in its predecessors. The display size has been further bumped to 8.0 inches in the SL, SLi and Platinum trims. 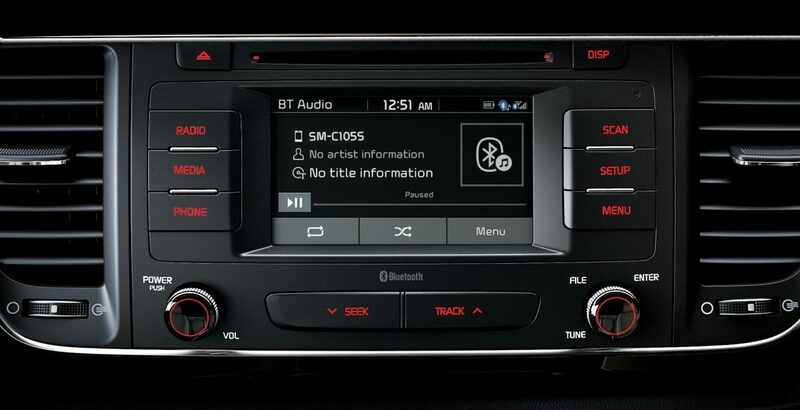 These high-end trims also score a JBL premium 8-speaker sound system over the standard 4-speaker unit of the base model. Though not earth-shattering by any means, the advanced sound system does offer the excellent sound quality. The SUV has got the rating of over 8 stars (out of 10) for all the parameters of performance, ride quality, handling and dynamics, driver technology, safety, fuel efficiency, infotainment & connectivity, interior comfort & packaging and value for money. It gets the highest rating of 9.5 for being fit for purpose. On the other hand, it could earn just 8.1 stars for the provision of connectivity and infotainment in the interior.